Galvanized Steel Containers bring back our old memories. 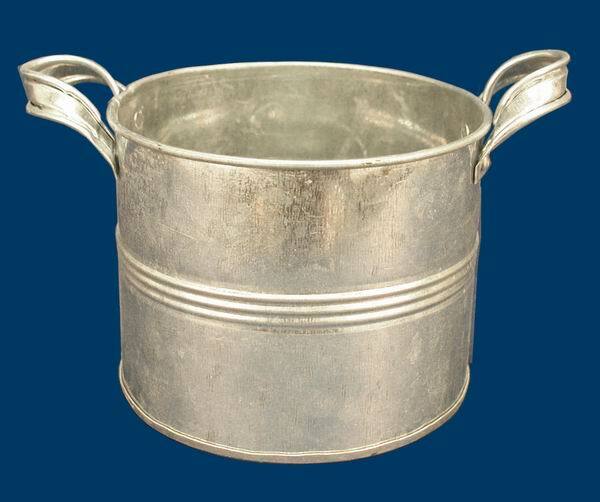 This old fashioned jug is made of galvanized steel. It measures 5" in diamter and 4" high. The two side handles are not measured.